This year I have been introduced to the world of wrestling and have drawn many parallels between feedback in wrestling and my school’s focus on using ongoing, timely, descriptive and effective feedback to improve learning. 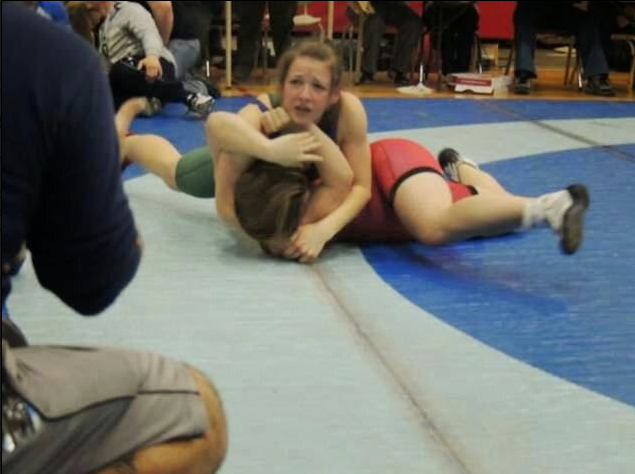 Competing mid bronze medal match at CWOSSAA, this wrestler is appealing to her coach for help. Highly engaged but not yet successful, she needs feedback! What exactly is feedback? Grant Wiggins says, “Feedback is useful information about the effects of an action in light of a goal.” This wrestler’s goal is to win and at the moment she is stuck and needs feedback to succeed. Like the wrestler, our students want, need and value feedback which will help them reach and exceed their goals. In the video clip, Austin’s Butterfly, Ron Berger clearly demonstrates the importance of ongoing, timely, descriptive and effective feedback in accelerating and improving learning. How much learning is lost when students do not receive feedback that they need and deserve? As a learner and beginning blogger, I too need and welcome your “just right” feedback. Rita is a vice principal at Wellesley Public School in the Waterloo Region District School Board.